A highly profound profile, rich in heritage, urbane and sophisticated in stature - introducing the new Lucien Piccard Sultan automatic timepiece. 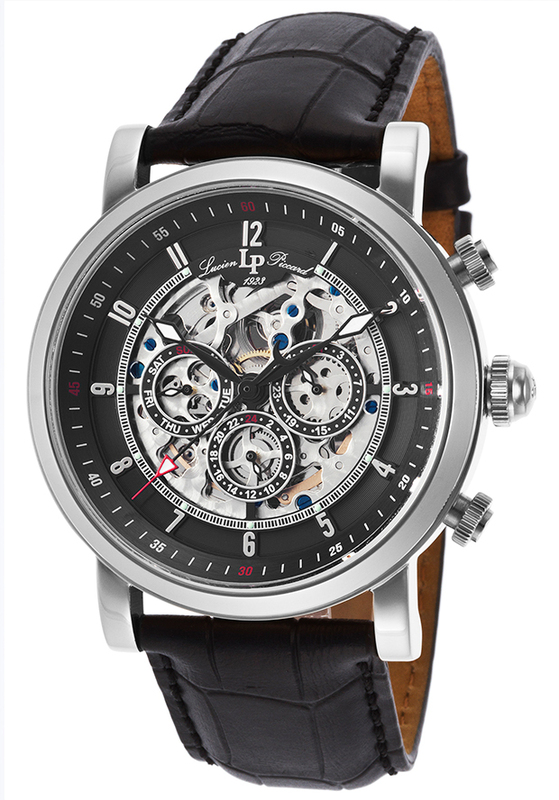 Outstanding men's timepiece offers the best of both worlds with a contemporary highly polished 45mm diameter case and heirloom inspired skeleton dial and case back that let you see the intricate automatic movement inside. The attractive crocodile-textured leather strap with a deployment clasp adds to the exceptional good looks. Details to note: the skeleton hands on the dial with Arabic numeral hour markers, 24-hour, day of the week and month subdials.